Catching a whiff of lavender is enough to melt stress away like butter, so just imagine how strolling through a peaceful lavender field feels. 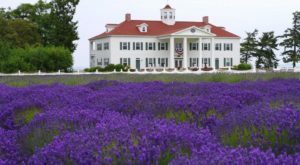 The Olympic Peninsula is known for growing a lot of lavender, especially Sequim, which hosts a lavender festival every July. 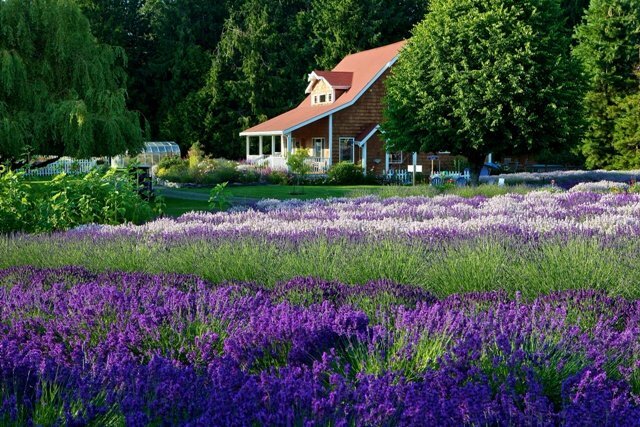 And that’s where you’ll find the Purple Haze Lavender Farm, which is 10 acres of pure paradise. 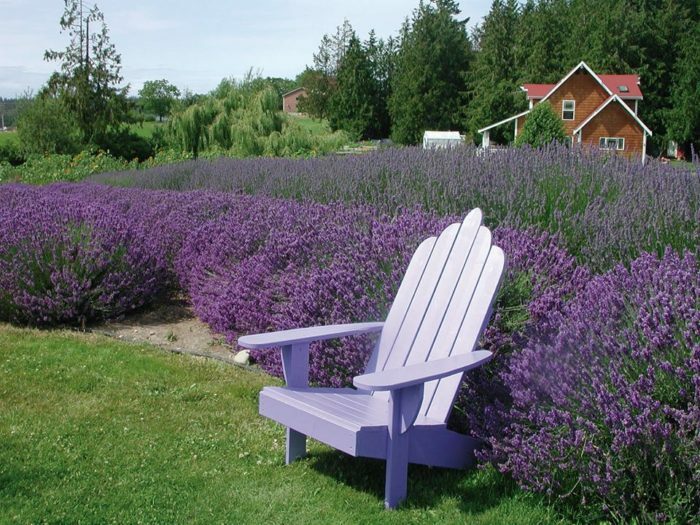 Purple Haze Lavender Farm is located at Bell Bottom Road in the delightful town of Sequim. For years, this certified organic farm has been growing and selling this enticing herb, which is native to northern Africa and the mountainous parts of the Mediterranean. 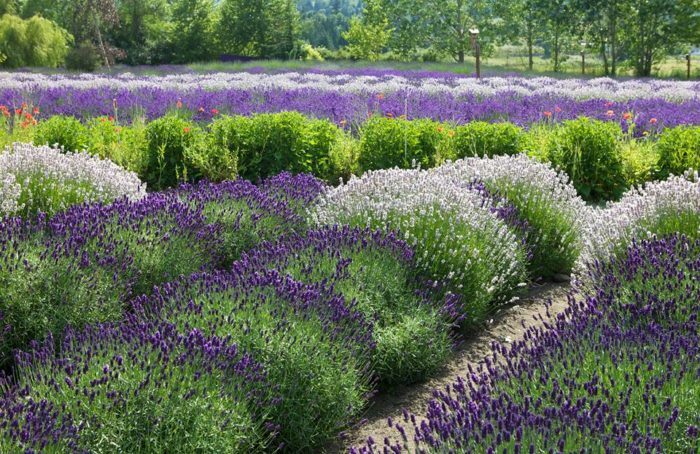 While different varieties of lavender bloom at different times, you'll typically start to see it happening in early to mid-June. 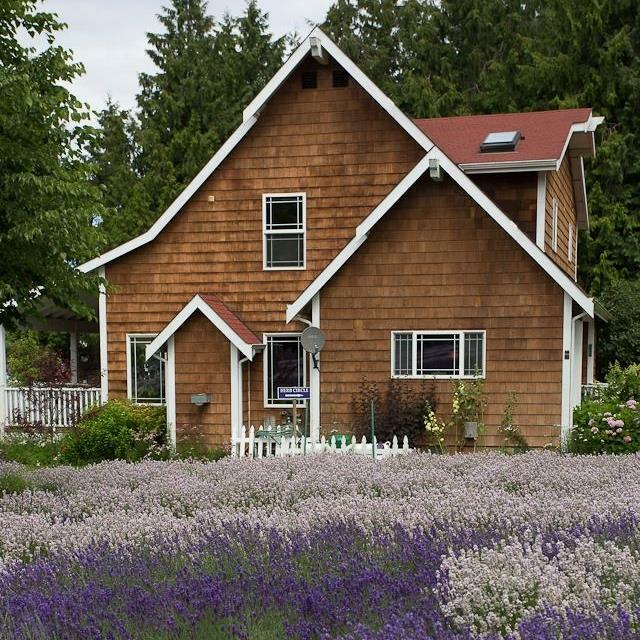 Needless to say, summertime in Sequim is especially gorgeous. 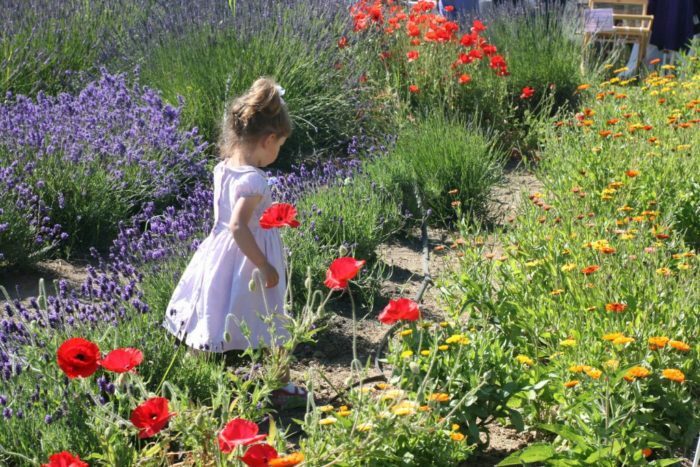 ... but you can stop and buy lavender products at the gift shop even when the fields aren't in bloom. They sell all kinds of unique and charming lavender products, some of which you won't find anywhere else. You'll feel so relaxed at the farm, you might not want to leave. And the good news is, you won't have to. 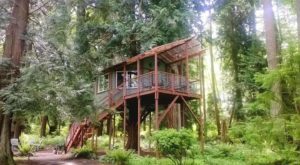 Purple Haze has an onsite vacation rental you can stay in, and it's wonderful. 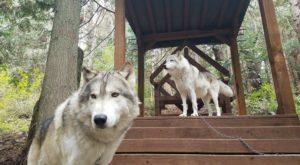 You'll enjoy three bedrooms, two bathrooms, a large den, books, movies, and an outdoor hot tub and BBQ. 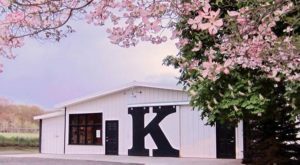 The farmhouse can accommodate six guests, so you can bring the whole family along. 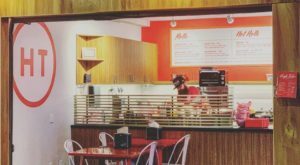 While you're sitting and taking it all in, don't forget to treat yourself to something sweet. 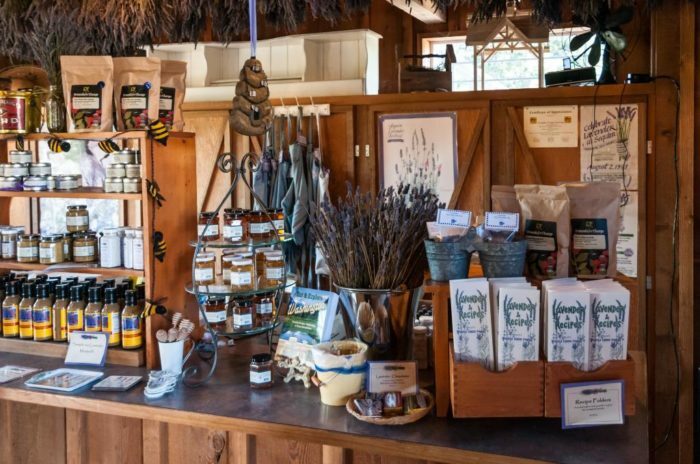 Aside from the lavender fields and the gift shop, you'll find a seasonal onsite refreshment stand that sells lavender lemonade, lavender ice cream, and other goodies. Purple Haze opens for the season on Memorial Day weekend, so plan accordingly. Lavender has all sorts of healing properties: It is antibacterial, anti-inflammatory, and an anti-depressant, just to name a few. 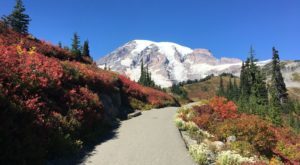 We're lucky to have it in abundance here in Washington. 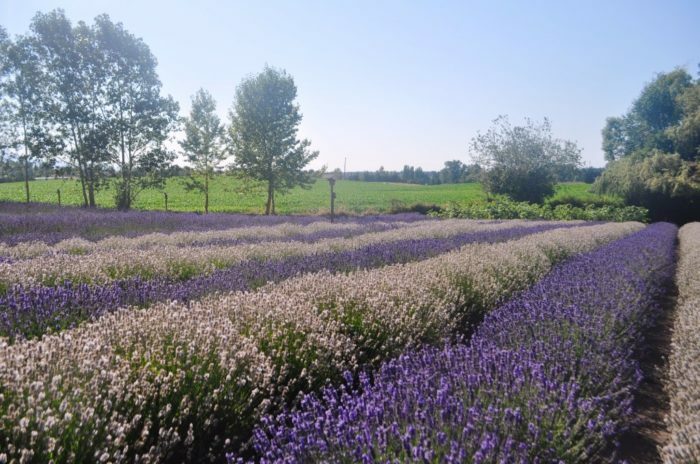 You can find more information about lavender and the farm on the Purple Haze website. 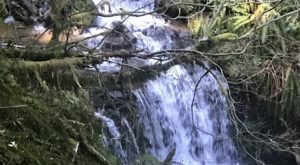 And while you’re in the area, make sure you spend some time exploring Sequim.